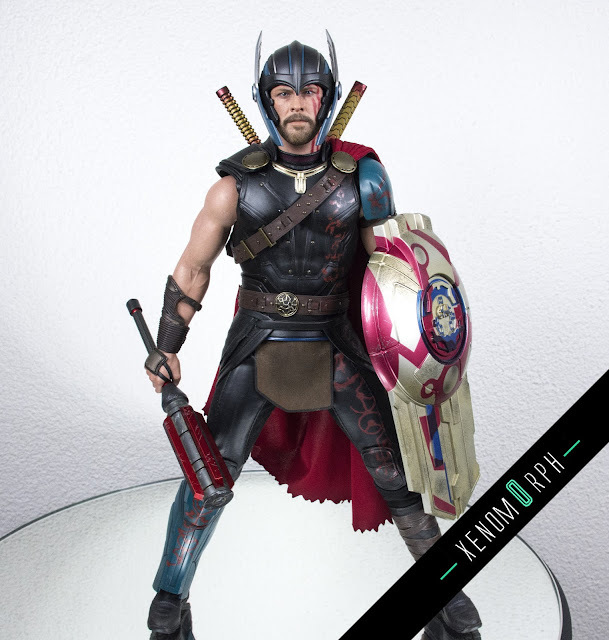 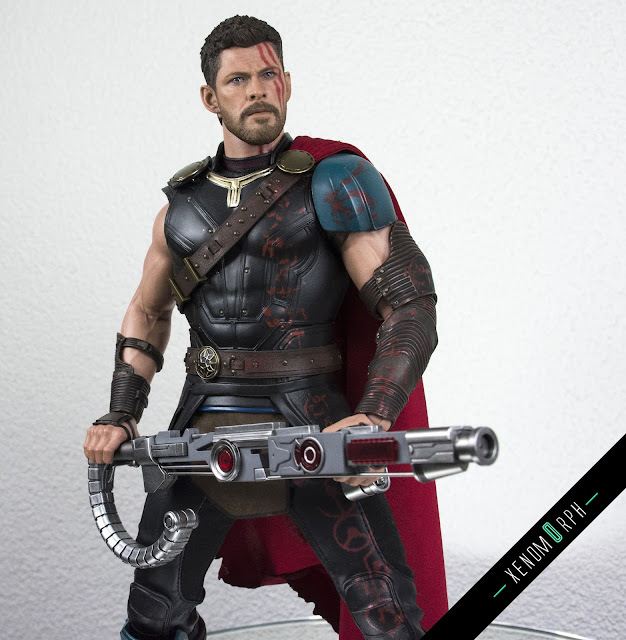 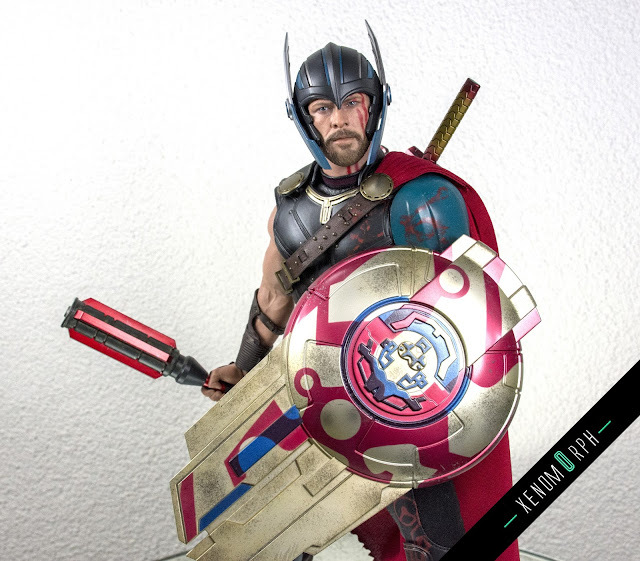 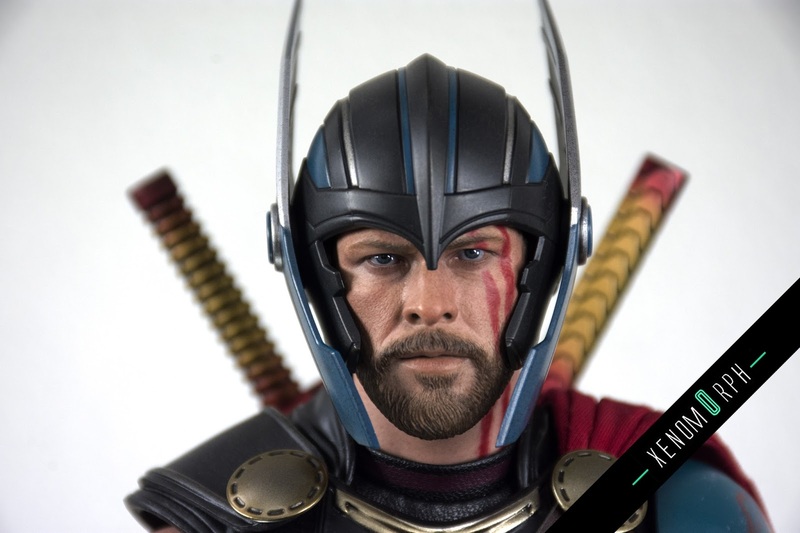 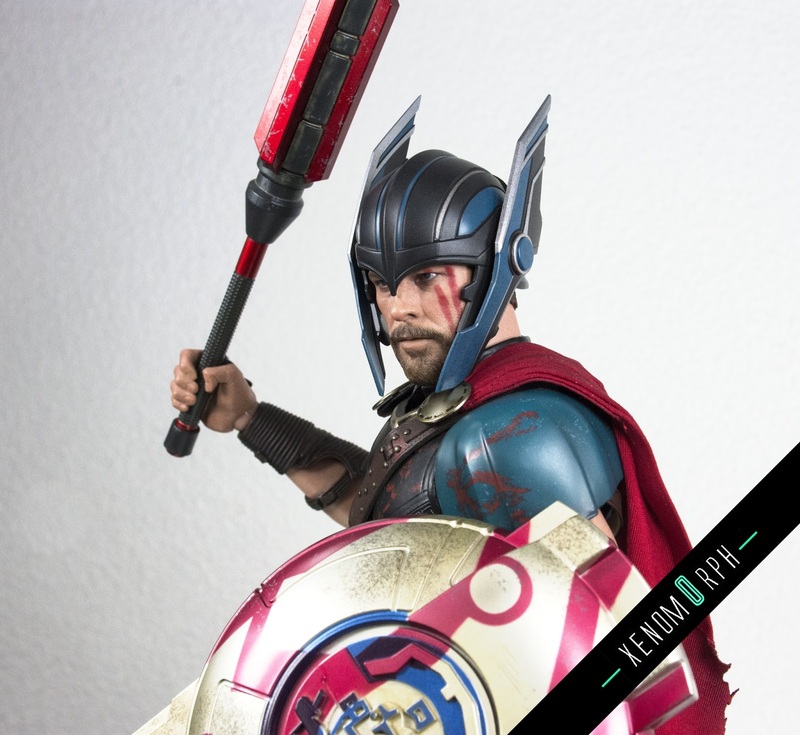 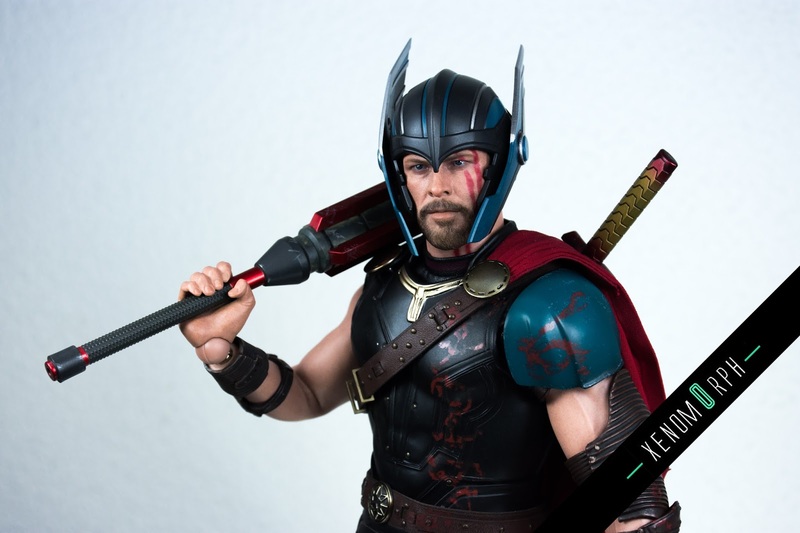 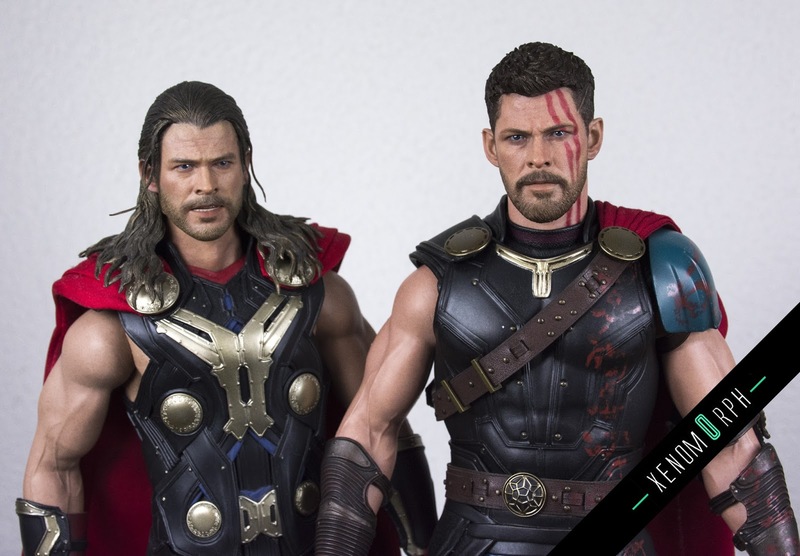 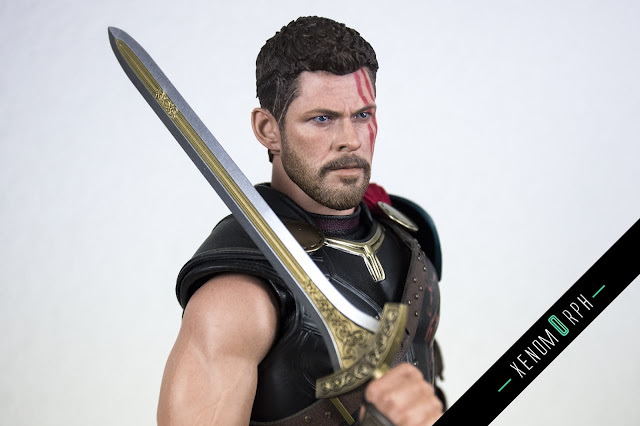 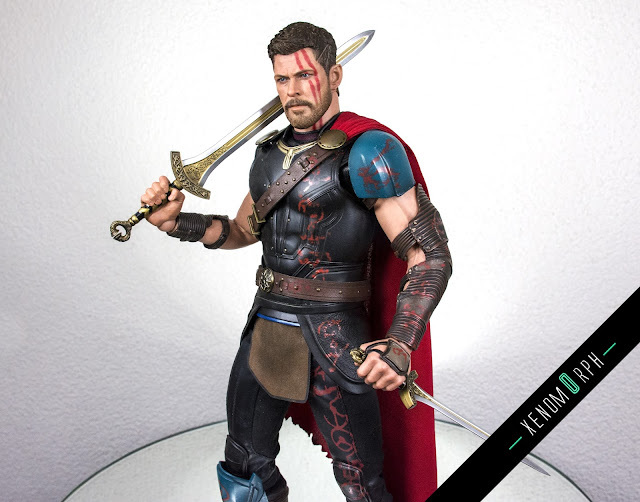 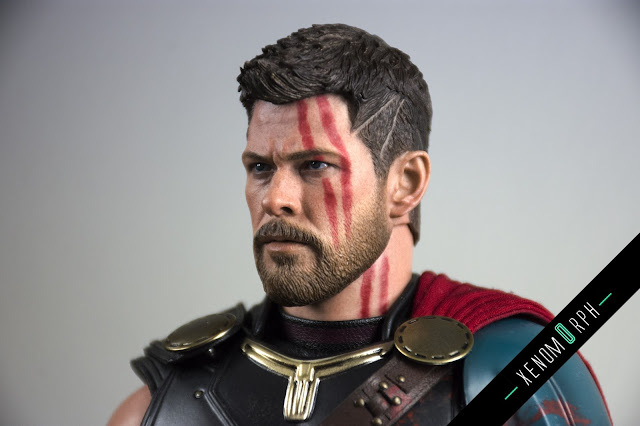 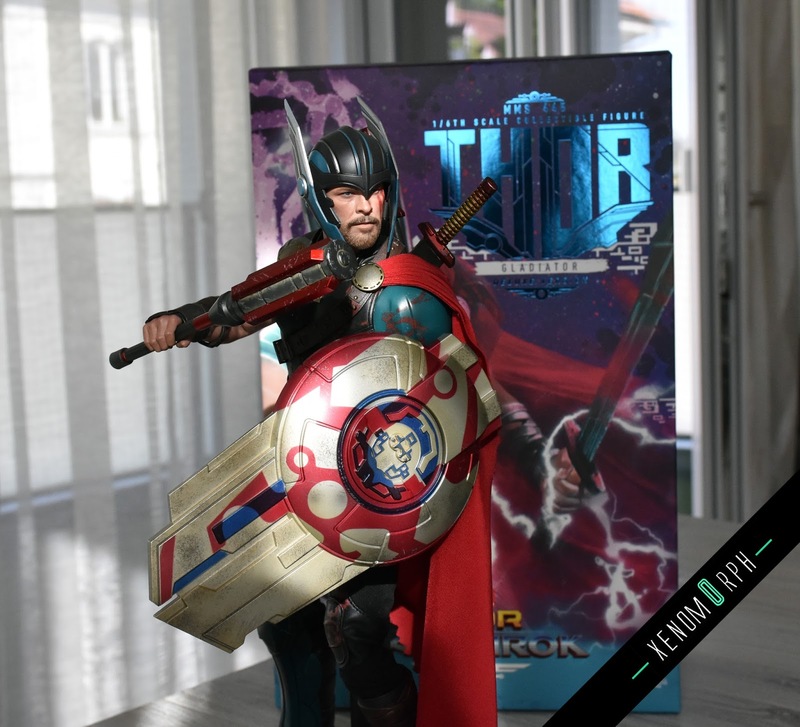 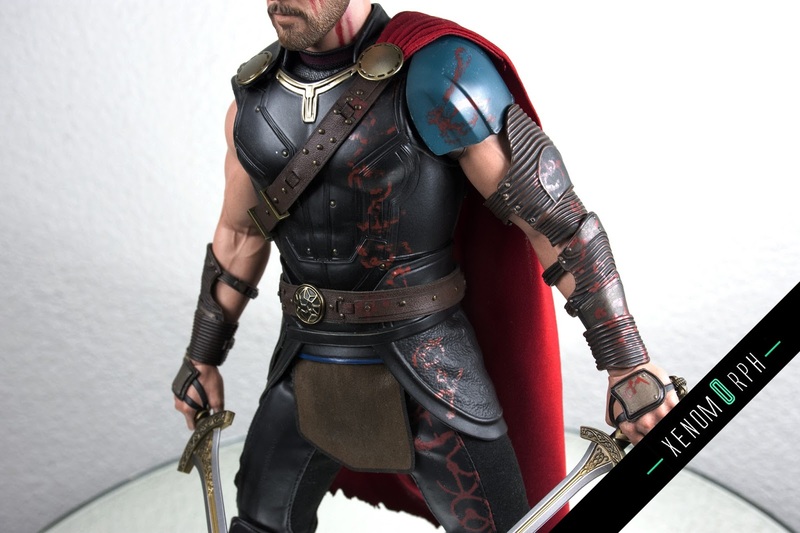 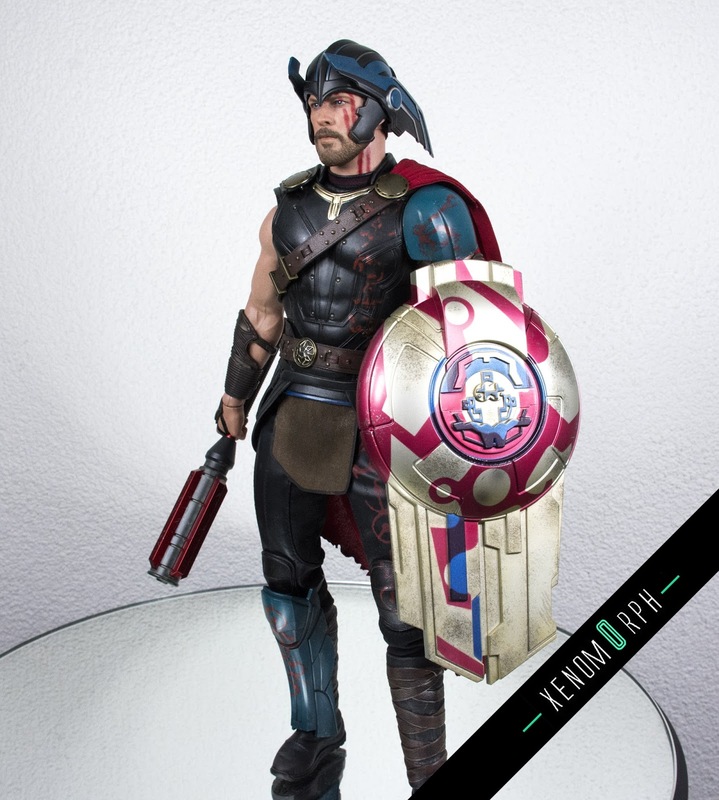 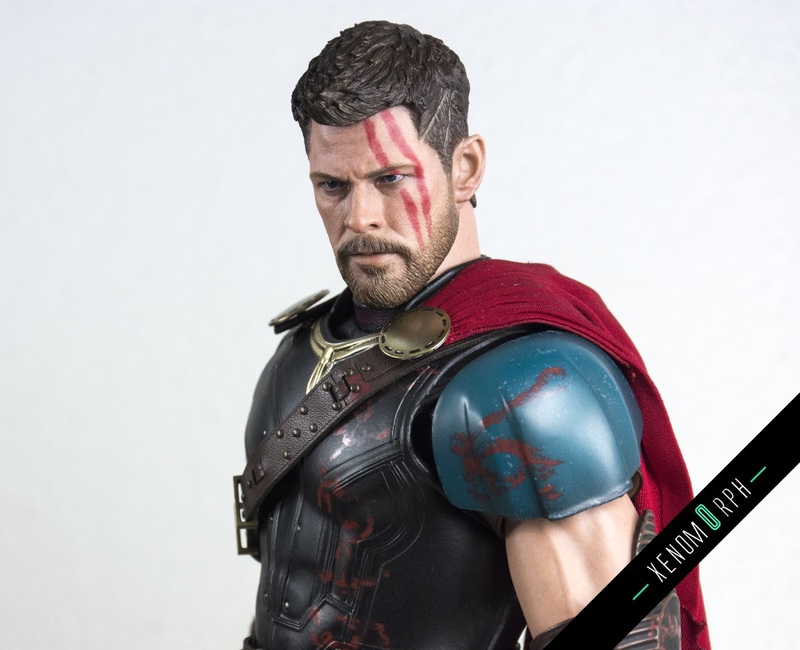 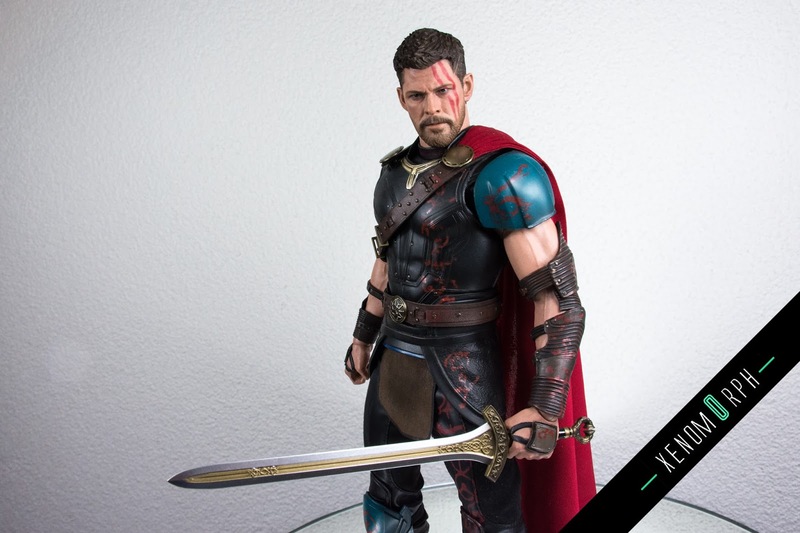 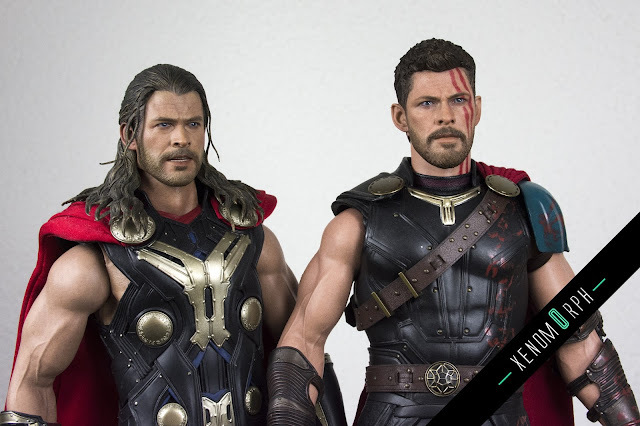 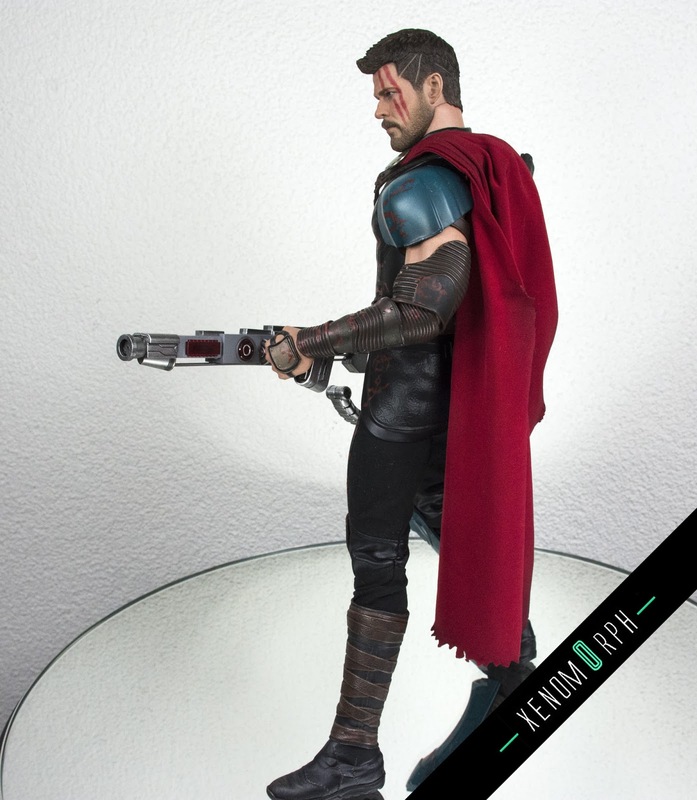 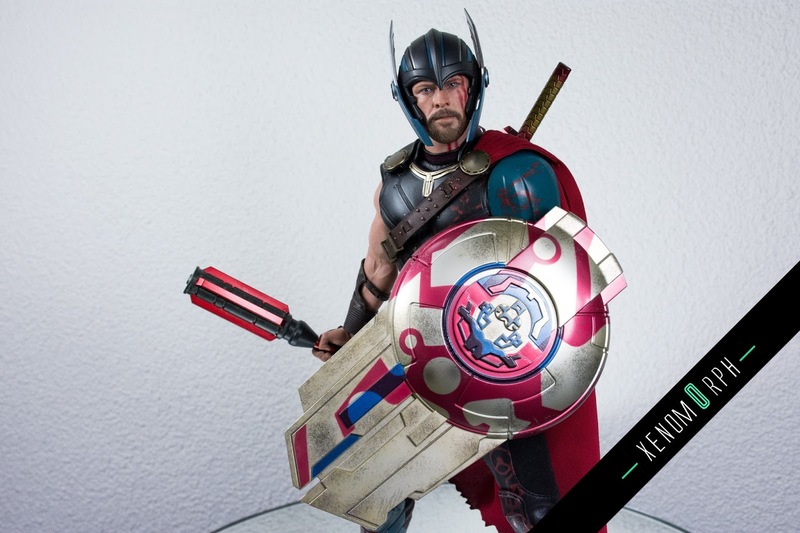 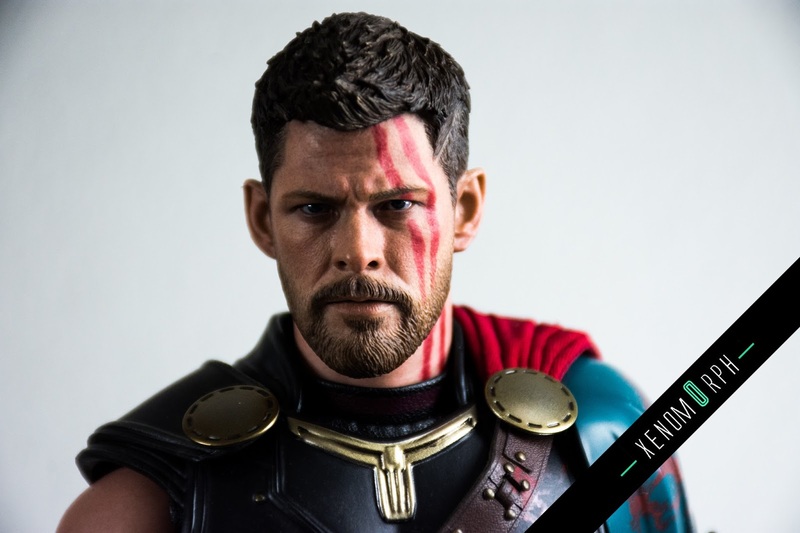 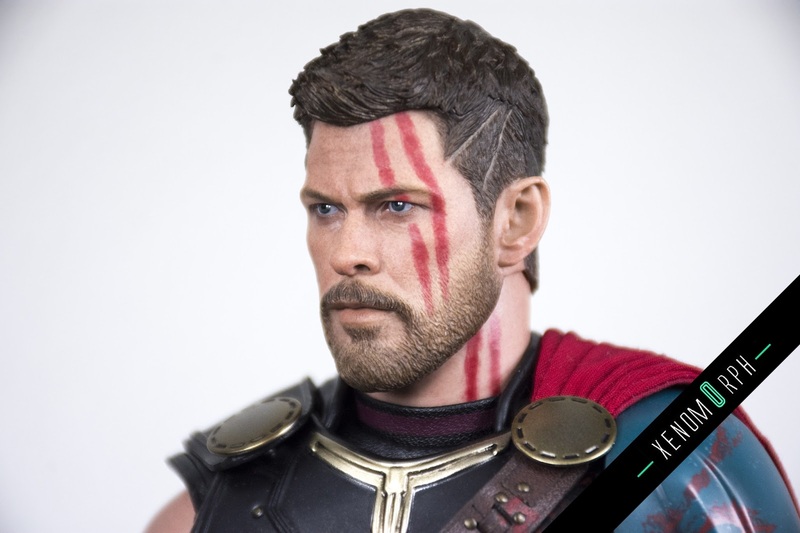 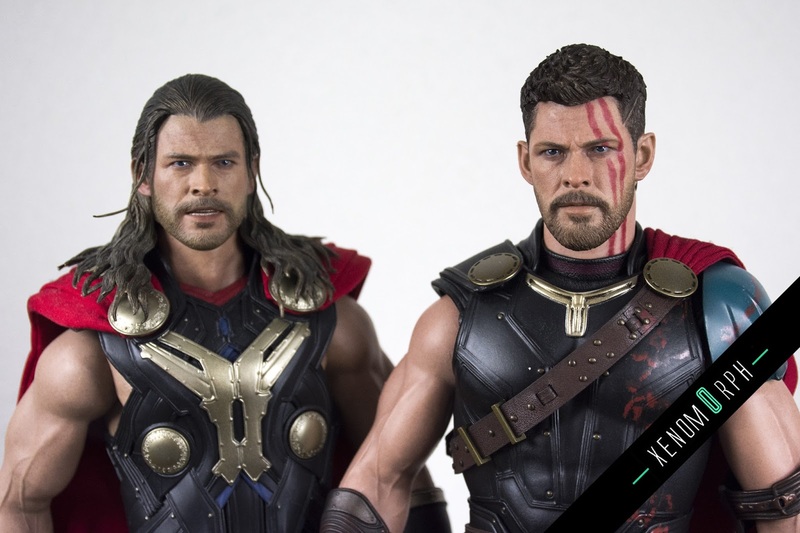 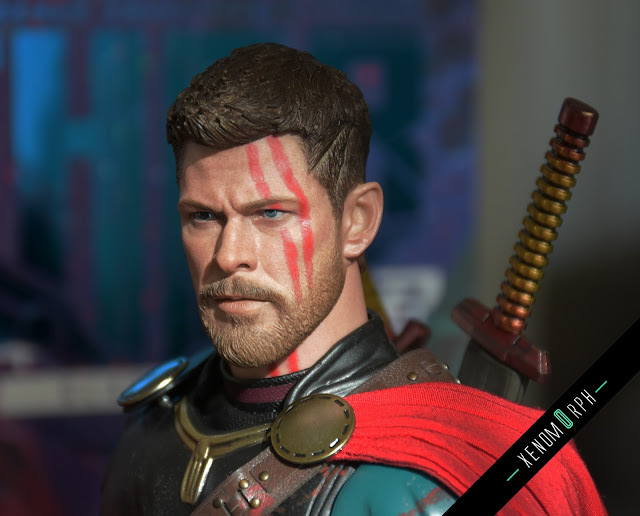 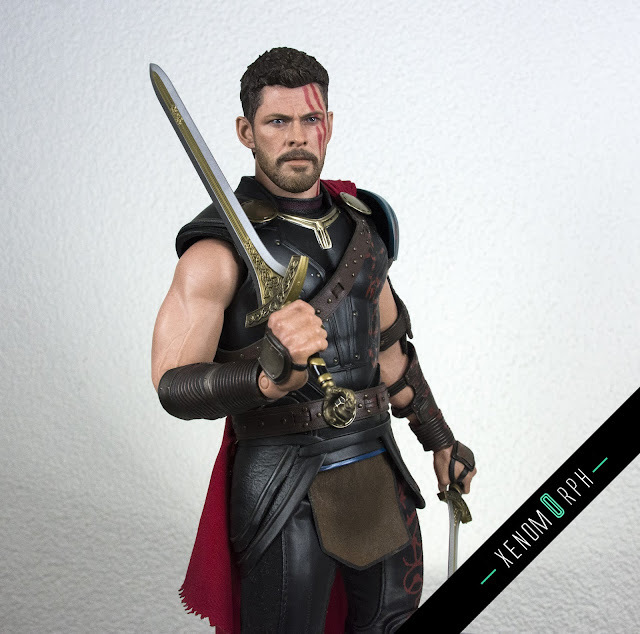 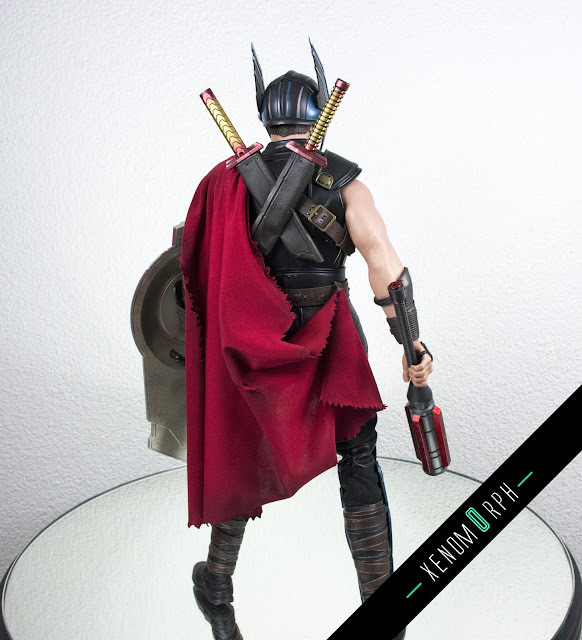 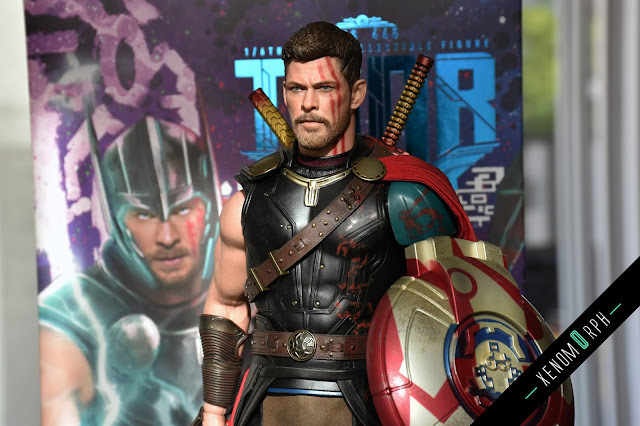 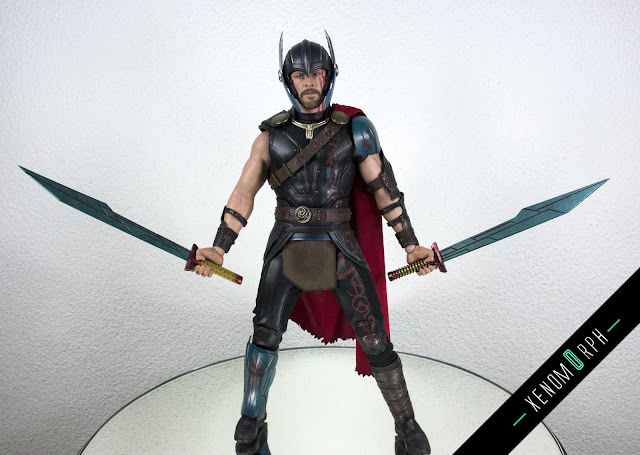 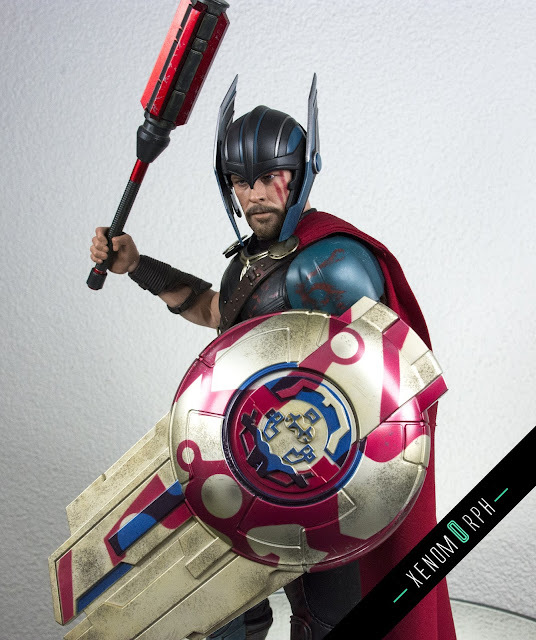 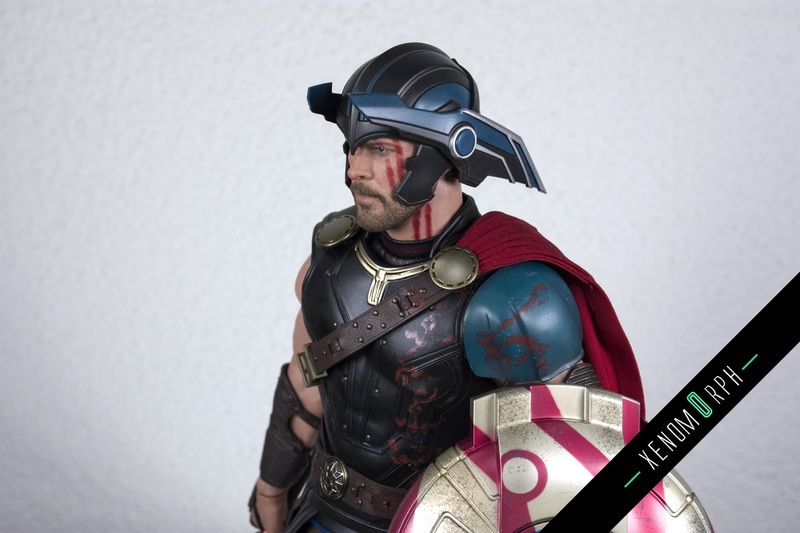 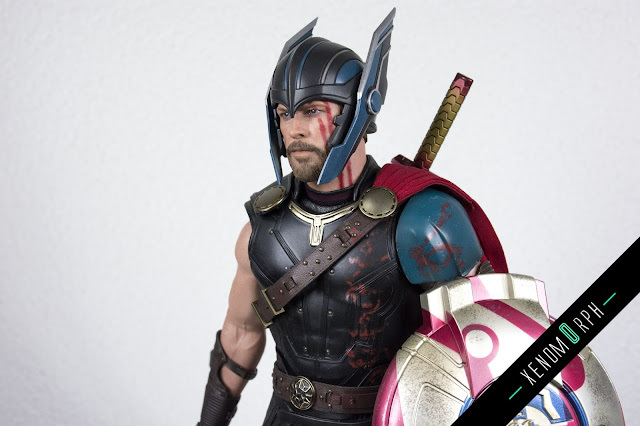 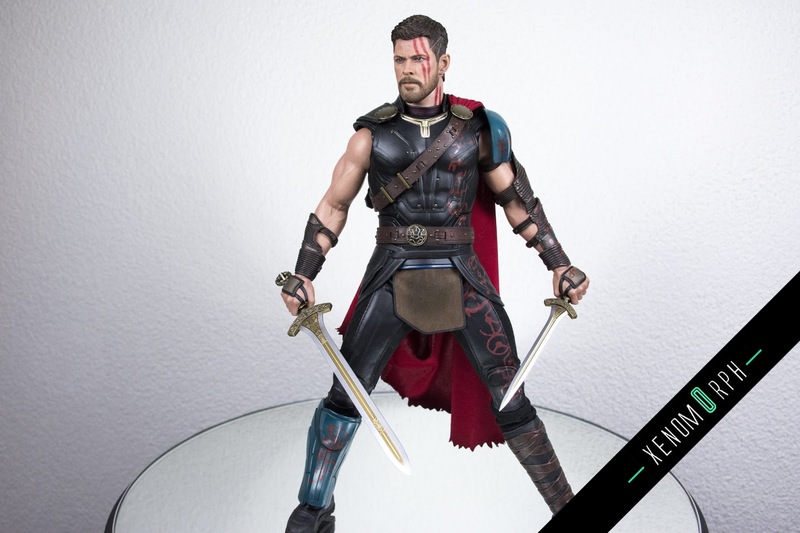 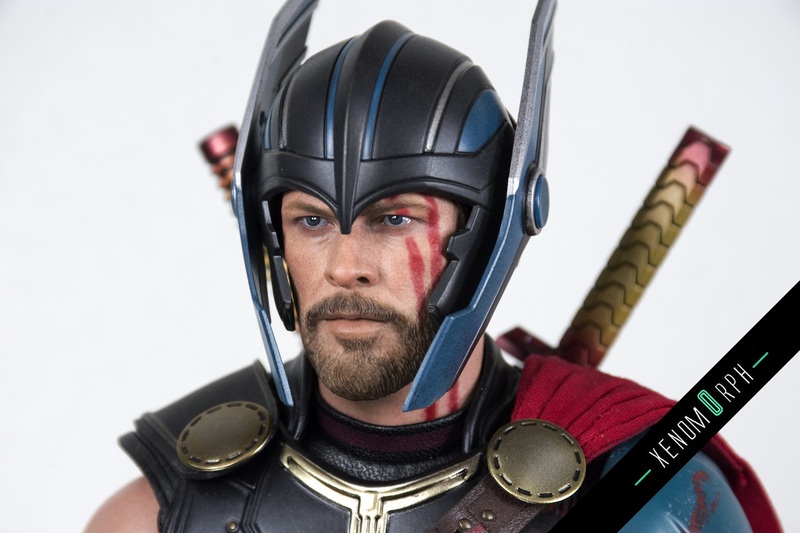 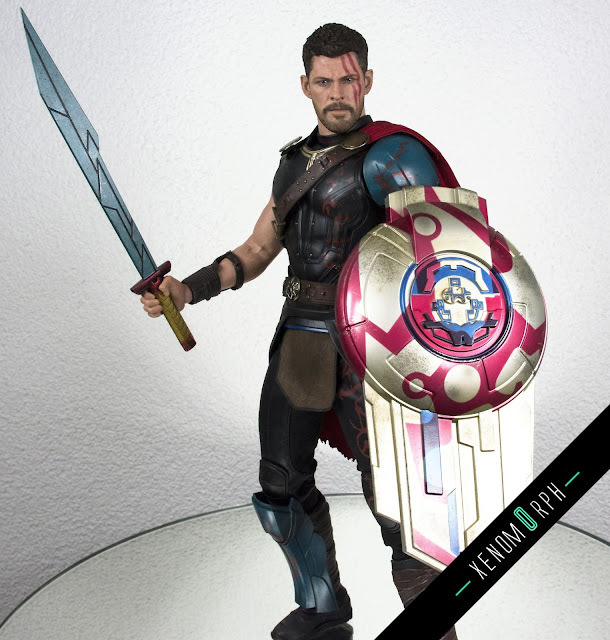 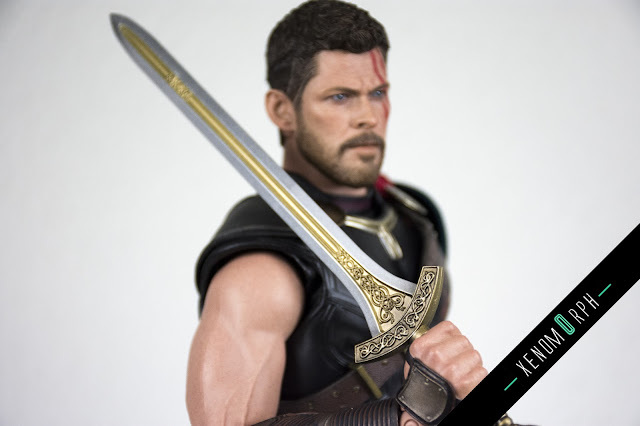 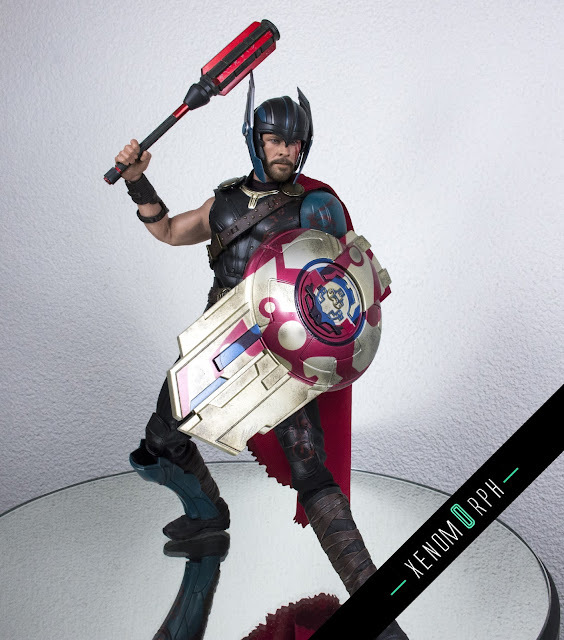 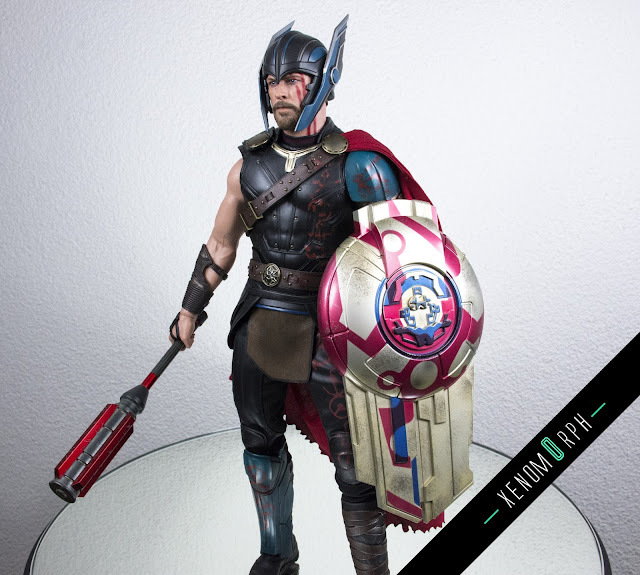 This week i received the Hot Toys Gladiator Thor from the movie Thor: Ragnarok. 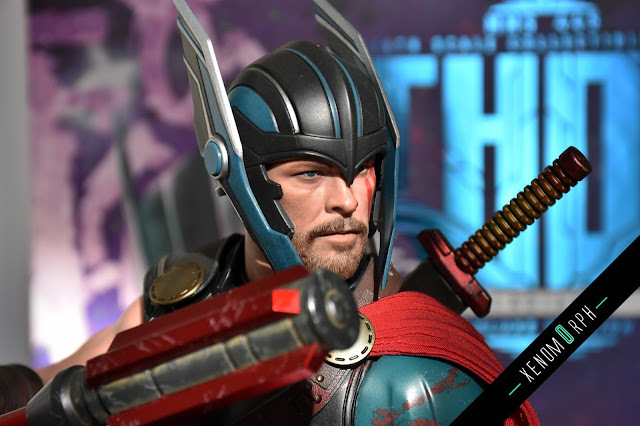 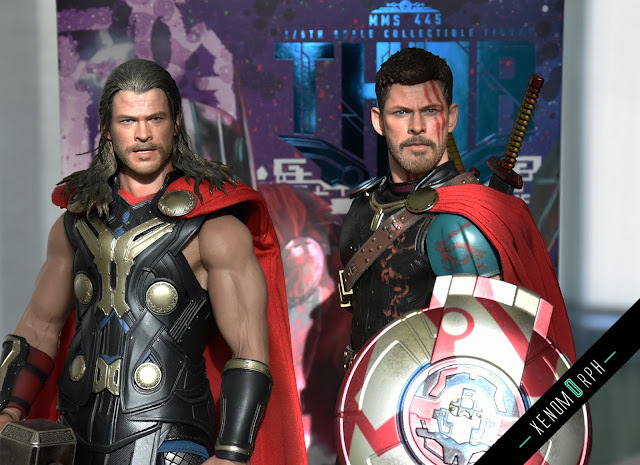 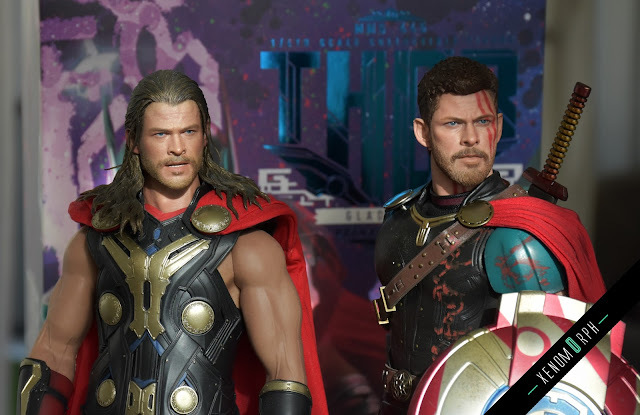 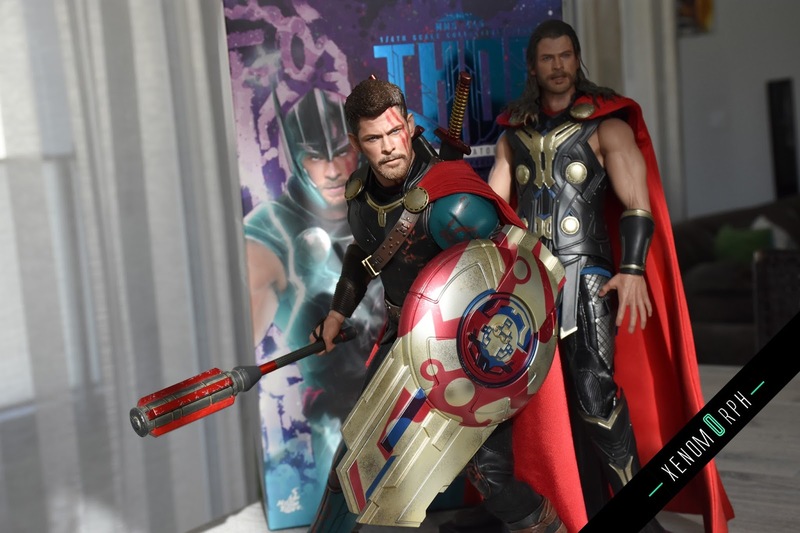 This is the first Thor that features the refreshing short hairstyle and the portrait of Chris Hemsworth was really good recreated in this release. 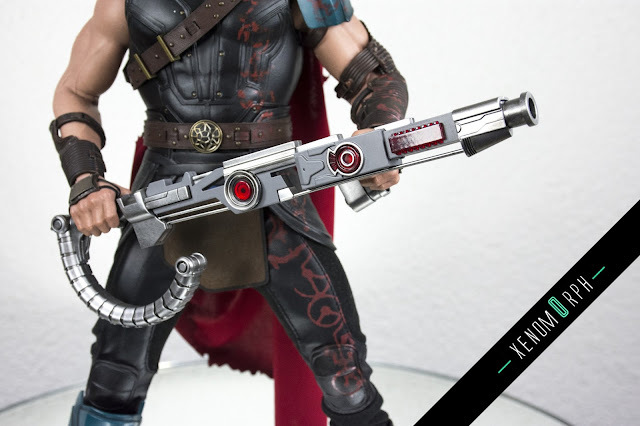 With the deluxe version you get three additional weapons: two elhajar swords and a plasma rifle - it's a neat throw-in for an additional USD 12. 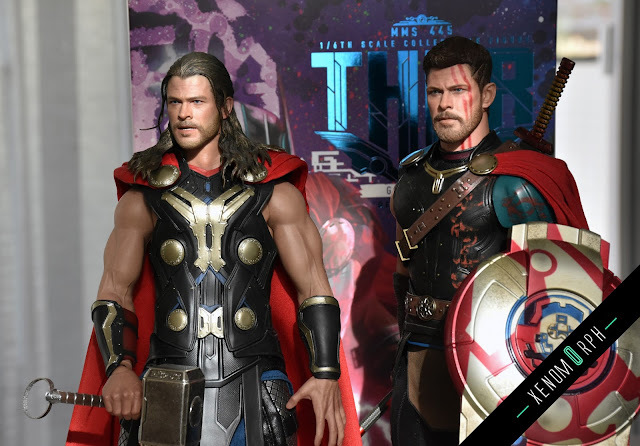 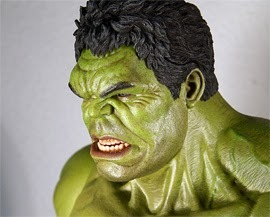 The deluxe version and also the normal version are both already on waitlist at Sideshow: check it out on their website to save yours.